I don’t think there’s a determining and decisive moment in my life when I became a woman. I “became a woman” because it wasn’t an overnight transformation but a process. A process of maturing my thoughts, making life-changing decisions, assuming responsibility, making mistakes, learning lessons, building a list of principles and values that guide my choices. I did all this (granted, with great help from my mother! ); I refuse to wait and attribute this to marriage and childbirth, required Burundian thresholds to womanhood. But for the Burundian society, I am still umukobwa, a girl, and only marriage would make me a woman. As a 27 year old girl, I have no power, no say. If I buy a land before marriage, tradition expects me to leave it to my brother or my father as I go to live off my husband’s land. In my culture, samurarwa is the heir who is in charge of the departed parents’ heritage. Samurarwa can never be a woman. In fact, a 12 year old boy can and will be samurarwa despite the fact that he has three older sisters in their 30s. Widows are also at risk of being pillaged by their late husband’s family, leaving them vulnerable and alone to raise their children. Heritage is a hot topic in Burundi and unfortunately some people are trying to push the idea that this issue is an “educated women” battle in the capital. The President of Burundi once asked during one of his popular countryside visits if any of the women present wanted to have the ability to inherit from their parents or husbands. The large crowd in front of him remained silent, not a single word, no raised hands. Fear? Lack of knowledge? Paralyzing comfort of traditions? Would I have stood up in that setting? I can’t say for sure. But my taking part in this specific battle for social justice is another topic. Kirundi is a language that uses a lot of verbs. In fact, a majority of nouns are derived from verbs: for instance uburaro, hotel, literally means “where you sleep”; uburiro, “where you eat”, means restaurant. The equivalent in English would be ‘an eatery’ to mean restaurant. This not only makes it easy to define words but also to find their roots…which gives a clear picture of gender issues in Burundi. It’s hard to become a woman in a culture that made, centuries ago, words that will forever define who you are, how you should behave, and limit the spectrum of your impact. If I give instructions to a contractor or a carpenter, he can “jokingly” ask me if I am umugabo, a man, to give orders. And I guess this is the moment when I should literally die of shame and shyness, like a proper mupfasoni. How can the intended for marriage choose to stay single and pursue a career when everyone constantly reminds her that she should be focusing on obtaining a dowry instead? Decades of trying and yet here’s the cold hard truth: there will be no sustainable development if women are left behind. CARE International, among a few other NGOs, has figured that out and has implemented amazing programs specifically tailored to focus on the economic and social empowerment of women and girls. CARE is rectifying the gender imbalance by including men in the equation and challenging their perception of society’s pre-installed gender roles and their consequences. With programs like Ishaka ( “Courage”, a girls’ economic and social empowerment program), Nawe Nuze (“Come Along”, a women’s economic and social empowerment model), and Abatangamuco (“those who cast light”, a men engaged program), CARE Burundi is effectively empowering women and girls while equipping men with the proper knowledge to understand and allow (*wince*) that empowerment to happen while welcoming the positive change that comes with it. In the context of my fellowship with CARE Burundi, I often had to interview women and girls to quantify the impact of our programs on their lives and write their testimonies on how empowered they now are. But when it comes to girls specifically, my sample was mostly made of “girls” well in their 30s. In the mission to empower women and girls, I find it rather unfair and counterproductive to decide for them and use the marital status as a threshold between adolescence and womanhood. A few months ago I travelled to Gitega, Burundi’s second largest city after the capital, for the purpose of a blog on girls and leadership. There I met Albertine who, at 32, still has to get her father’s approval prior to investing her own money. Jeanine, 28, has to ask her parents the permission to run for village mayor, her dream, because they still need her help with chores her brother should not be doing. Chantal, 29 with two children under 5, can’t choose to use much-needed contraceptive methods because her partner thinks that it will make him infertile. I believe that empowered women raise empowered girls, and I also believe that vulnerable women raise vulnerable girls. Constantly infantilizing women questions their choices and robs them of their decision-making power. Taking ownership of my womanhood should not be a privilege. Deciding of my life and making my own choices should not be bold, rebellious, or give people the right to question my ability to become somebody’s docile spouse. Extreme poverty stems from social injustice: a child is raised in a family lacking formal education and suffers malnutrition at an early age, which permanently affects his ability to learn. He becomes a least performing student and gets lower grades which will, at the end of his studies, lock some of the doors giving access to success, making his journey a harder struggle. 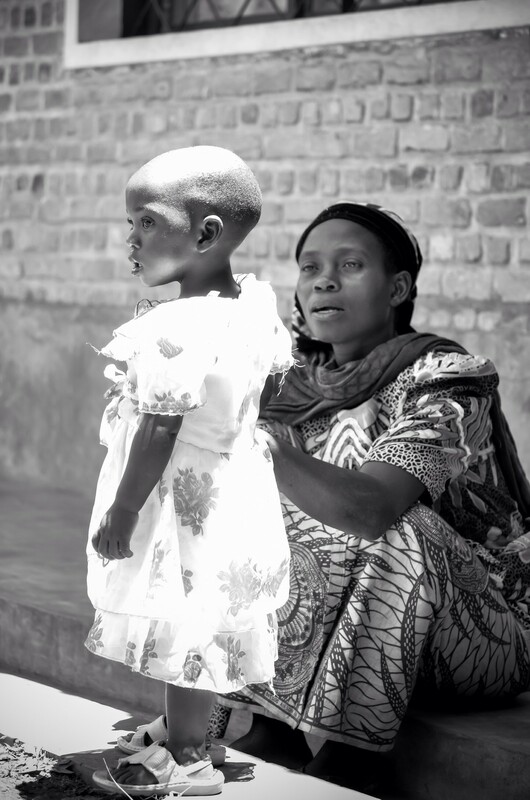 In rural Burundi, children are brought up by their mothers; it is especially crucial to economically and socially empower these women to give the ones who want it the right to become successful mothers, with all the tools to raise healthy and educated children. Audre Lorde once said “I am not free while any woman is unfree, even when her shackles are very different from my own.” I have an unconditional love for vulnerable rural women. Women’s empowerment is an amazing thing as is, but with my Global Health Corps fellowship at CARE Burundi, I got to experience first-hand how much this empowerment impacts communities and how fast social progress starts to happen. This fellowship also gave me the opportunity to meet amazing women who, despite harsh and prejudiced rural taboos, are empowered and successful. These women inspire me and reinforce my feeling that we should all aspire to fully enjoy the same rights, whether we want it or not, need it or not, we deserve to have that option. As a feminist, it hurts me deeply to know that I can’t say, “I am a woman” in my mothertongue without feeling diminished and devalued. But I can’t change that, we can’t change languages. I believe, however, that we can change how people perceive some words; we can invite them to think differently and defy tradition by creating more balanced and socially just communities with enough space for everyone to grow and use their full potential regardless of gender and culture. Joanna Nganda was a 2014–2015 Global Health Corps fellow at CARE International in Burundi. All GHC fellows, partners and supporters are united in a common belief: health is a human right. There is a role for everyone in the movement for health equity. Join the movement today. New voices and ideas from Global Health Corps, a community of nearly 1000 diverse young leaders worldwide united by the belief that health is a human right. We tell our own stories, honestly and thoughtfully, because this is where our activism begins.